Red River Director, Simon Pringle was invited to talk at a Wired Sussex event on 17th May 2016 at the FuseBox in Brighton about our partnership with the University of Chichester and Sussex and the Software Engineers Apprenticeship degree. This programme provides the student with both academic and business experience as the student is employed by the company and still attends university on a weekly basis, providing the opportunity to develop practical IT skills and gain valuable project management, interpersonal and business experience. Two thirds of the costs are paid by the Government and one third by the employer, which is also a great incentive in a world where education and training can be costly. For those of you that are familiar with Red River, you will know that we feel passionately about supporting multiple routes into the world of software and facilitating career opportunities and experience on a practical level. Alongside Sussex Healthcare, who are also apprenticeship employers on the course, Simon talked to the audience – prospective employers for the degree apprentices – about the value and impact of being involved in this kind of initiative. In Simon’s own words – why is Red River Software involved in this Software Engineer programme and why is it so important? Since starting the business 9 years ago, the recurring block to our growth has been the availability or good developers with up-to-date skills. The problem in the Gatwick Diamond region is exaggerated by the draw of London, the increasing salaries and contractor costs and the shortage in affordable housing. Can degree apprenticeships address the technology skills gap? The skills gap we are seeing is affecting most technology and engineering companies around here and across the country. It is a very real issue. Organisations such as the Confederation of British Industry (CBI) are indicating that the skills gaps in some areas as being so acute, that we need to double the number of people getting into technology careers. See their 2015 survey here. This skills gap is not just about volume and availability of appropriately skilled people, but also refers to the fact that even graduates straight out university are not commercially viable employees, due to lack of practical experience. Sadly, at present, I am seeing the problem getting worse not better. There just is a very small pool of available developers, This means SMEs like us have to be very creative in finding ways to address the skills gap in order to grow. WE HAVE TO INVEST IN PEOPLE! Both in terms of time and money. Current thinking in the technology/digital sector is that the skills gap can be solved by apprentices, with a greater focus on “employer led training”. We have had a few abandoned attempts at taking on apprentices and not succeeded. Why? The applicants seemed not to be committed to software/ computing and/or they weren’t able to keep up in our environment. We had abandoned pursuing the idea again until I met up with Dave Cooper from the University of Chichester. This style of degree level apprenticeships seemed to us to like the perfect blended way to address previous challenges. What are the key benefits of this particular programme? The apprentices are high academic achievers. They are driven to get careers as software engineers and are effectively earning several years earlier than if they followed the traditional degree route. They have roots in the region which makes them choose us and stay within the local community, this also increases the likelihood of us retaining them as long term employees. They are learning the skills we use and need, at an early stage. They are using the state of the art frameworks and technologies from day one. As a partner of UoC we get a small say in the course. The tech leads in my company did not follow the traditional university route. In many instances this route is not catering for them, or indeed for the nature of the fast moving digital tech sectors. Many of our current employees were really advanced age 16/17 and so didn’t see the advantage of going to get a degree. Hopefully, the degree apprenticeships will potentially capture those people back into the university system. The discipline of completing a degree will continue to be very valuable in this kind of programme, because it is coupled with hands-on experience. The apprentices we have taken on through the programme so far, definitely fit into that mould. For us and I believe other SMEs, as challenging as it can be, the onus is upon us to invest and train the future workforce. 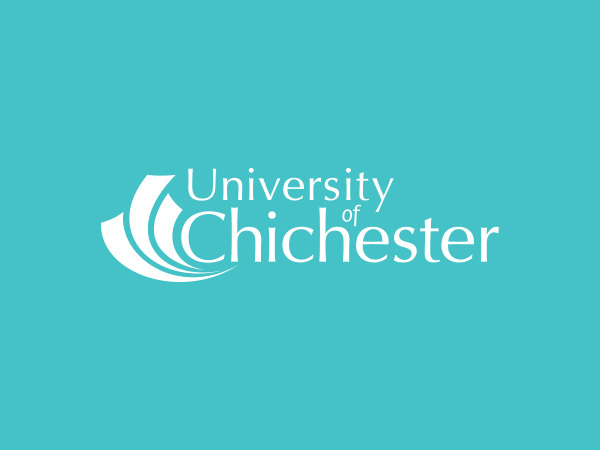 On the whole, there is little support for businesses doing this, so it is great to see commercially aware organisations such as the University of Chichester, being so proactive and in many ways, pioneering. – Gatwick Diamond Business Person of the Year, Simon Pringle, talking at your event.